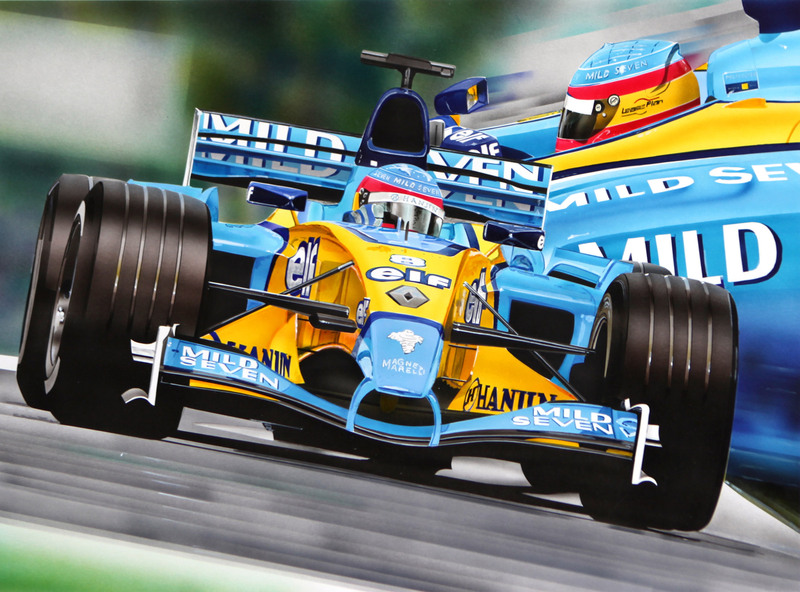 Airbrush painting of Fernando Alonso in his race winning Renault F1 car of 2003. Original painting has the size of 50 x 60 cm. No more than 150 limited edition prints are available. All signed and numbered by the artist. Includes certificate of authenticity. 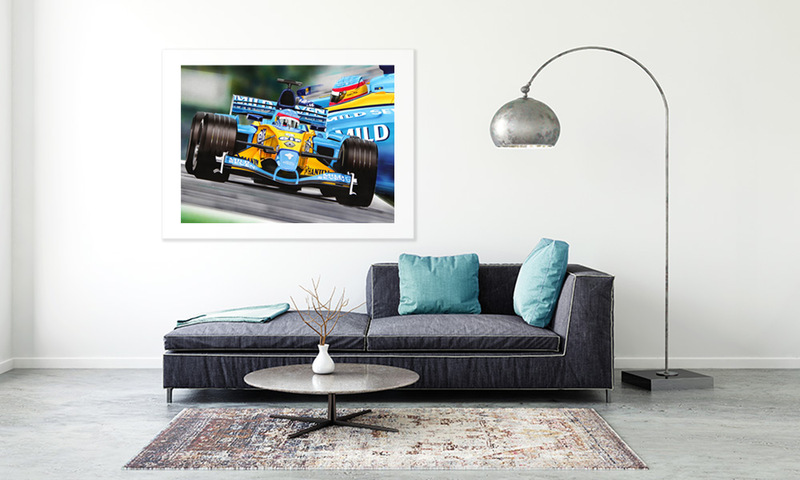 Size of the limited edition print is 50cm x 70cm. Frame not included.